In a lengthy letter addressed to current Microsoft chief Satya Nadella, Ballmer extolled Microsoft's current leadership team, saying the new CEO is "off to a bold and exciting start." The resignation letter, full of buzzwords, was posted to Microsoft's website in full. "No company in the world has the mix of software skills, cloud skills, and hardware skills we have assembled," Ballmer wrote. "We draw talent as well as any company in the world. We have the profitability to invest in long-term opportunities and still deliver superior shorter term performance." Turning to his own future, Ballmer said outside duties have been taking up a good chunk of time, so much so that it would be "impractical" to continue on as a board member. One of the main reasons cited for the departure is a responsibility to the Los Angeles Clippers basketball team, which he bought in May for $2 billion. "In the six months since leaving, I have become very busy. 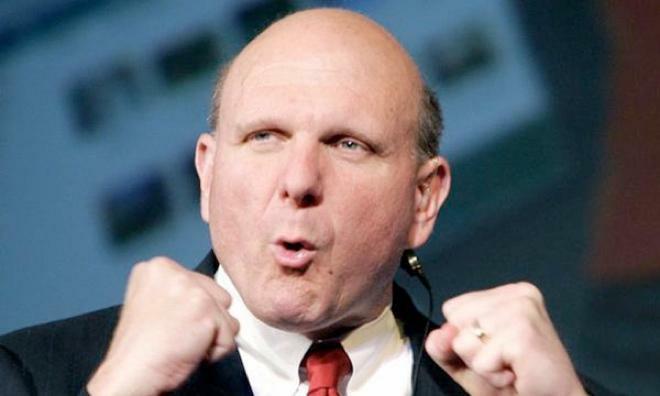 I see a combination of the Clippers, civic contribution, teaching and study taking a lot of time," Ballmer wrote. "I have confidence in our approach of mobile-first, cloud-first, and in our primary innovation emphasis on platforms and productivity and the building of capability in devices and services as core business drivers." Ballmer pointed out that he holds more shares of Microsoft than any one individual, excluding funds, and expects to stay in that position for the "foreseeable future." According to The New York Times, Ballmer's has a 3.99 percent stake in Microsoft with shares currently worth over $15 billion, more than company cofounder Bill Gates. Using the considerable sway, he intends to spur on Microsoft management and offer ideas and input going forward. A response from Nadella —also filled with neologisms —is also included in the post and thanks Ballmer driving Microsoft to a "mobile-first, cloud-first world."